An Echo Dot at home. More about the HPR skill. "Alexa, play KHPR." or "...play KAHU." * Another way to find your frequency: use our new feature on the HPR mobile app. Look for the "Station Finder" under the Menu. Find out more about other ways Alexa can make your life easier and more fun (ask her to tell you a joke) by going to the Amazon Echo official site. 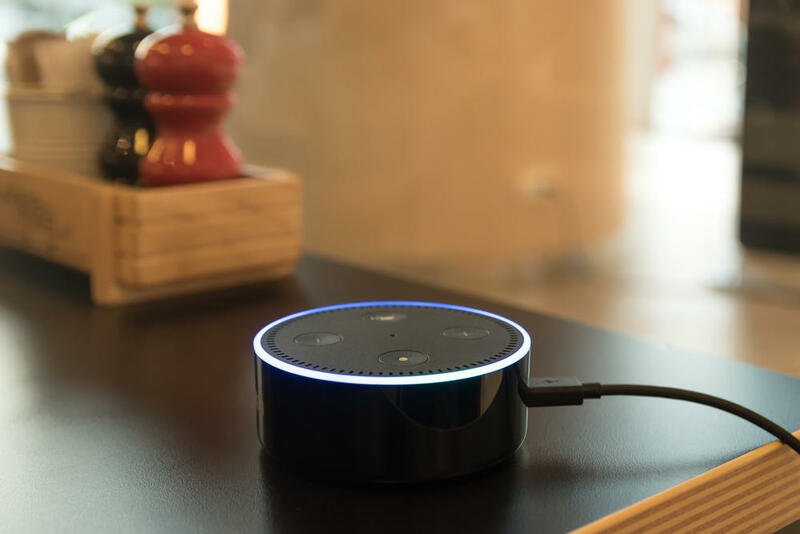 There you’ll also find answers to questions, more skills and capabilities (including answering the phone or keeping your shopping list), and customer reviews of the Echo devices. Finally, enjoy this amusing story from "The New Yorker Radio Hour": Life with Alexa.